6 March 2018. Washington Plaza Hotel, Washington, D.C.
Student Rate: For full-time students with current student ID. Contact JURIS Conferences at: events@jurisconferences.com for current rate. Written course materials, a copy of the Investment Treaty Arbitration, Volume 12, when published, refreshments at breaks, luncheon, and a drinks reception following the program. The fee does not include accommodations. 9:30 – 11:00 PANEL 1- Compliance with Local Law Clauses and Original Intent – A Natural or Problematic Evolution? The original purpose of these clauses was just to exempt pre-investment decisions from liberalization, but tribunals have consistently used them as the basis for admissibility decisions involving corruption and other alleged illegalities in the establishment of investments. Is this an acceptable instance of arbitrator-made law? 11:15 – 12:45 PANEL 2- Be Careful What You Ask For: Can Recent Changes to BIT Models Satisfy ISDS Sceptics and Opponents? Some of the changes seen in the CETA gives us the latest “state-of-the-art” thinking from Canada and the EU. It includes a general exemption provision that arguably narrows the protection of government decision-making under treatment-no-less-favorable clauses. It also includes the much-vaunted investment court model, which might grant so much legitimacy to the “court” that it will become very difficult for State parties to “correct” decisions they don’t like, as they can currently do through various means. There’s also the transparency rule for third-party funding, which could normalize the practice in a way not desired by opponents. We are also seeing new developments in the Indian and Brazilian Model BIT. This panel seeks to discuss and debate some of these developments to evaluate whether they would satisfy skeptics and opponents of investment arbitration. 13:45 – 15:15 PANEL 3- Parallel Proceedings: A Right or Wrong? Little is agreed on the topic of parallel proceedings. Are they on the rise or not? Are they merely the result of multiple rights to multiple fora being exercised by diligent parties or an abuse of rights? If parallel proceedings need to be regulated, how should they be regulated? 15:30 – 17:00 PANEL 4 – To Hot Tub or Not to Hot Tub? Valuation experts seem to suffer from the same “usual suspects” problem as arbitration counsel: the very same people keep appearing over and over again in hearings. Whereas there’s absolutely nothing untoward about counsel as hired gun, some would argue that it’s inimical to the role of expert for valuators to be seen as hired guns, or as de facto extensions of the litigation team. Maybe the lis inter partes model is part of the problem. What if tribunals mandated hot tubbing of valuators, to generate an atmosphere more conducive to cooperation? Meriam Al-Rashid is a Partner in Dentons’ New York office. 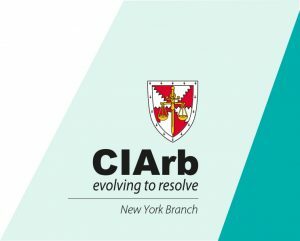 She is a member of the Litigation and Dispute Resolution practice group where she focuses on international and commercial arbitration and risk management, covering various industries across the globe, including infrastructure, oil and gas, mineral resources, hospitality and real estate. Her experience includes participation in arbitration before the ICDR, LCIA, UNCITRAL, ICC, ICSID and the Permanent Court of Arbitration (PCA) at The Hague. Ms. Al-Rashid acts as arbitrator on commercial and investor-state disputes primarily involving parties from the Middle East and North Africa. She has served as counsel in disputes and transactions involving parties from Libya, South Africa, Iraq, Republic of Austria, the United Kingdom, and the United States among many others. Kabir Duggal is a Senior Associate in Baker McKenzie’s International Arbitration Practice Group in New York focusing on international investment arbitration, international commercial arbitration and public international law matters. He also acts as a Consultant for the United Nations Office of the High Representative for Least Developed Countries, Landlocked Developing Countries and Small Island Developing State (UN-OHRLLS) and a Lecturer-in-Law at Columbia Law Schools. He is admitted to practice law in England and Wales (Solicitor), New York, Washington, D.C. and India. Mr. Duggal was named as a “Future Leader” in international arbitration by Who’s Who Legal (2017). Miriam K. Harwood is a Partner in Curtis, Mallet-Prevost, Colt & Mosle’s New York office. She specializes in international arbitration, including commercial disputes and investment treaty claims, and has served as counsel for foreign states, governmental agencies and private entities in a broad array of cases. Ms. Harwood has handled arbitrations under the auspices of the major international arbitral organizations, including the ICSID, ICC, and UNCITRAL. Her notable cases include representation of Venezuela against the multi-billion dollar claims brought by oil companies ConocoPhillips and ExxonMobil, involving claims of US$30 billion and $16 billion respectively. Other recent arbitration include disputes involving construction contracts and oil and gas projects. Todd Weiler is an independent counsel and a historian of international investment law and arbitration. Called to the bar of Ontario in 1999, Dr. Weiler has served as arbitrator, consulting expert and co-counsel in many dozens of disputes involving investors, host states and third parties. Donald McRae is Professor Emeritus in the Faculty of Law, at the University of Ottawa. He has been counsel in several international fisheries and boundary arbitrations and in cases before the International Court of Justice. He has appeared as counsel before WTO panels and the WTO Appellate Body. He has been a member of several WTO panels, as well as member and chair of investment dispute tribunals under ICSID and UNCITRAL rules. Professor McRae is the former Editor-in-Chief of the Canadian Yearbook of International Law, and serves on the Editorial Board of the American Journal of International Law. He is an associate member of the Institut de droit international, a member of the Royal Society of Canada, a Companion of the Order of Canada and an Officer of the New Zealand Order of Merit. He was a member of the United Nations International Law Commission from 2007-2016. José Alberro is a Senior Advisor in Cornerstone Research’s Washington, D.C. office. He co-heads their international arbitration and litigation practice. His expertise focuses on applied economic and financial modeling across a variety of industries, with particular depth in oil and natural gas, petrochemicals, consumer goods, industrial inputs, and telecommunications. Dr. Alberro specializes in damages estimation in the context of international arbitration, mergers and antitrust; tariff design in network industries (electricity, natural gas transportation and distribution, water); and economic impact analysis. He has conduct arbitration at the World Bank’s International Centre for Settlement of Investment Disputes and at the American Arbitration Association. In Mexico, he served in the Ministry of Finance, the Ministry of commerce and Industrial Promotion, and the Ministry of Programming and the Budget. Ulyana Bardyn is a Managing Associate in Denton’s Litigation and Dispute Resolution practice group in their New York office. She focuses on complex cross-border litigation and international arbitration matters. Ms. Barden is fluent in English, Ukrainian and Russian, and has been involved in cases governed by the rules of the ICSID, ICC, LCIA, AAA, and UNCITRAL. She also practices in US federal and states courts. Ms. Barden is a former member of the secretariat of the ICC International Court of Arbitration. Eric De Brabandere is a Professor of International Dispute Settlement Law and Director of the Grotius Centre for International Legal Studies at Leiden Law School. He is also Attorney-at-Law (Of Counsel) at the Ghent Bar (with Lexlitis Gent) practicing in international law and arbitration, Editor-n-Chief of the Leiden Journal of International Law, Visiting Professor of international investment law at the University of Trento in Italy, a member of the Board of Editors of the Journal of World Investment & Trade, the Belgian Review of International Law, and the Martinus Nijhoff Investment Law Book Series. Devin Bray is the Private Law Clerk for the Honorable Judge Charles N. Brower. Dr. Bray received his SJD at the University of Arizona in the International Trade & Business Law Program for his dissertation: “Legitimate Expectation in International Investment Law”. He is currently a Visiting Scholar at the George Washington University and formerly held Guest Researcher positions at the University of Amsterdam and at the Max Planck Institute for Comparative Public Law and International Law. Dr. Bray was a doctoral Fellow of the Social Sciences and Humanities Research Council of Canada and recipient of an Academic Scholarship from the Organization of American States. Dr. Bray has acted on commercial and investment treaty claims governed by the UNCITRAL, ICC, and ICSID Arbitration Rules and formerly clerked with Dr. Todd Weiler in the area of international arbitration. He is a Barrister and Solicitor of the Law Society of Upper Canada. J.P. Duffy is a partner in the firm’s New York office and focuses his practice on international arbitration and related litigation. He has extensive experience formulating global dispute resolution strategies for clients facing multi-jurisdictional international disputes and has represented clients across a range of industries in international arbitrations administered under the ICC, AAA/ICDR, LCIA, HKIAC, SIAC, DIAC, JAMS, GAFTA, ICSID and UNCITRAL rules in the US, Europe, Asia, Africa and Latin America. He also enjoys a comprehensive understanding of the interaction between courts and arbitration and has represented clients before US state and federal courts in litigation seeking prospective relief in aid of arbitration, actions under 28 USC § 1782 to obtain evidence in support of foreign tribunals and proceedings to enforce arbitral awards. Lorraine de Germiny is an Attorney in the Geneva office of LALIVE. Her main area of practice is international arbitration, including commercial and investment treaty arbitration with particular experience in the energy and construction sectors. She has acted as counsel or arbitrator in a number of international arbitral proceedings, either ad hoc (including UNCITRAL) or administered (under the rules of the ICC and ICSID), governed by various procedural and substantive laws. Hermann Ferré is a Partner in Curtis, Mallet-Prevost, Colt & Mosle’s Litigation and International Arbitration groups. His substantive areas of experience include energy, construction, business law and international law. He has represented U.S. and foreign government officials in state and federal proceedings, and represents sovereign states in international arbitration, in matters concerning energy and construction. Mr. Ferré has arbitrated under the AAA, ICC, ICSID, Dubai International Arbitration Centre and UNCITRAL. He has experience in Latin America, MENA and Central Asia. Before practicing law, Mr. Ferré, who also is an architect, managed construction projects for Los Angeles County. In addition, he helped establish the county’s Energy Management Division. Kenneth Juan Figueroa is a partner in Foley Hoag’s Washington, D.C. office. He is a member of the International Litigation and Arbitration Practice. Mr. Figueroa has substantial experience in international arbitration matters, particularly in Latin America. His practice focuses on international disputes, particularly on investor-State matters, commercial arbitration, and sovereign representation. He principally represents foreign States and State-owned entities before U.S. federal courts and international arbitral tribunals, including those established under the auspices of the ICSID, ICC and ICDR. In addition to his litigation and arbitration experience, Mr. Figueroa has represented sovereign entities in negotiating bond issuances and investment and commercial agreements, and has represented clients in connection with project financing. He has also represented clients called to testify in hearings before foreign legislatures. Oscar Garibaldi is an independent arbitrator. He was formerly a Partner with Covington & Burling. During the 34 years he was with Covington & Burling his practice was devoted to international arbitration and other forms of resolution of international disputes. In the first half of his career at the firm he combined an international arbitration practice with other work involving public international law, international corporate transactions, and international and domestic litigation. In the second half of his career, he concentrated exclusively on international arbitration, both investment and commercial. Mr. Garibaldi practiced international arbitration as counsel and, to the extent permitted by conflicts, as arbitrator. He was the lead counsel in the representation of subsidiaries of Exxon Mobil Corporation in an ICSID arbitration against the Bolivarian Republic of Venezuela and in an ICC arbitration against Petróleos de Venezuela S.A.
Jennifer Glasser is an Attorney in White & Case’s New York office and a member of the International Arbitration group. Ms. Glasser has represented corporate clients in institutional and ad hoc arbitrations involving both common and civil laws, as well as sovereigns in investor-State disputes. Her experience covers a wide range of industries including energy, oil and gas, manufacturing, mining, financial services and technology. Ms. Glasser also has experience representing and advising clients in US court proceedings related to the arbitral process, including successfully defending against a request for disclosure in aid of an international arbitration under 28 USC 1782. Samaa A Haridi is a Partner in Hogan Lovells’ New York office. She is a civil and common law-trained, trilingual who represents corporations and financial institutions from all over the world in international commercial and investment arbitration, under the rules of all major arbitral institutions. She also frequently sits as an arbitrator in international disputes. Tessa Hayes is an Attorney in the Geneva office of LALIVE. Her main area of practice is international arbitration, both commercial and investor-state in a variety of sectors. Before joining LALIVE, Ms. Hayes was a member of the dispute resolution group at Freshfields Bruckhaus Deringer in New York. Paula F. Henin is an Attorney in Skadden, Arps, Slate, Meagher & Flom’s New York office. She practices in the international litigation and arbitration group. Her practice focuses on international commercial and investor-state arbitration, as well as public international law. Prior to joining Skadden, Ms. Henin was a private international arbitration law clerk to The Honorable Charles N. Brower in The Hague. Alexander B. Hinckley is an Attorney with Lackey Hershman. He advises and advocates for clients in a variety of disputes, with particular focus on international arbitration, complex commercial litigation, and healthcare regulation. Mr. Hinckley has represented clients throughout the United States and the world in both state and federal court as well as AAA and ICSID arbitrations. His practice has included investor-state arbitrations, disputes under UNCITRAL, enforcement of foreign judgments in the United States, complex patent litigation, breach of contract, breach of fiduciary duty, bankruptcy-related litigation, and coverage disputes with Medicare and Medicaid. Ian A. Laird is a Partner in the Washington, D.C. office of Crowell & Moring. He is co-chair of the firm’s International Dispute Resolution Group and an adjunct professor at Columbia University School of Law and Georgetown University Law Center. He represents a range of clients in international arbitration proceedings involving disputes between corporations and foreign sovereign governments. Mr. Laird is best known for being lead counsel for Khan Resources Inc., which secured a US$100 million international arbitration award against the Government of Mongolia. His experience includes working on the earliest NAFTA investor-state arbitrations involving each of the three NAFTA state parties, and most recently has handled high profile gold and uranium mining arbitrations under the ICSID and UNCITRAL Rules. For more than 15 years, Mr. Laird has counseled parties in investment arbitrations under the provisions of NAFTA, CAFTA-DR, the Energy Charter Treaty, and other international investment agreements, typically applying the arbitration rules of ICSID or UNCITRAL. Amanda Lee trained at Seymours and qualified as a Solicitor in 2010. She is dual-qualified as a Solicitor-Advocate, with rights of audience in civil proceedings in the Higher Courts, and a New York Attorney. She is admitted to the Bar of the Supreme Court of the United States of America. Ms. Lee is a Fellow of the Chartered Institute of Arbitrators. She became the first female Chair of the Institute’s Young Members Group in February 2017 and leads the Young Members’ Group Global Steering Committee. Miguel López Forastier is a Partner in the Washington, D.C. office of Covington & Burling. His practice focuses on international arbitration and litigation. Mr. López Forastier has successfully represented a wide range of clients, including those in the oil and gas, mining, communications, financial services, and food industries in both investor-State and commercial arbitrations. He also sits as an arbitrator. Both civil-law and common-law trained, Mr. Lopez Forastier handles contentious work in English, Spanish, and Portuguese. Ben Love is an Attorney in the New York office of Freshfields Bruckhaus Deringer. He practices in the public international law and international arbitration groups. Mr. Love has acted as both counsel and tribunal secretary in a wide variety of commercial and investment treaty arbitrations, with a particular focus on the energy sector. He has extensive experience in arbitrations against Latin American States. His recent mandates include representing investors in multibillion-dollar arbitrations against Egypt and its State entities arising out of the Peace Pipeline project, securing favorable awards for Total and Suez in ICSID arbitrations against Argentina, and advising clients in claims against sovereigns and State entities in Algeria, Kazakhstan and various European States. Julianne J. Marley is an Attorney in the New York office of Debevoise & Plimpton. Her practice area includes litigation and arbitration. She speaks and publishes on arbitration-related issues. Matthew Morantz is an associate in the New York office of Curtis, Mallet-Prevost, Colt & Mosle. He practices in the firm’s International Arbitration group and focuses on investor-State dispute resolution, public international law and commercial arbitration/litigation. Mr. Morantz has experience representing States and sovereign entities in ICSID and ICC arbitration cases, as well as in ad hoc proceedings under the UNCITRAL Rules, and before national courts. Michael Nolan is a Partner in Milbank, Tweed, Hadley & McCloy’s Washington, D.C. office. He is a member of the firm’s Litigation and Arbitration Group. Mr. Nolan has represented clients in U.S. federal and state courts and before arbitral tribunals in all manner of complex disputes, including general commercial, securities, intellectual property, tax and insolvency cases. He has a particular focus on international arbitration and transnational litigation. Mr. Nolan has served as counsel or arbitrator in cases under AAA, ICC, HKIAC, SIAC, ICSID, UNCITRAL and other rules. His arbitrations have involved electricity, gas, transportation, and mining concessions; joint venture and management agreements; satellite; and other insurance coverages; construction; energy distribution; and intellectual property patents and licenses. He has represented both investors and states in arbitrations pursuant to bilateral treaties and the Energy Charter Treaty. Antonio R. Parra is currently a Consultant with the Corporate Secretariat of the World Bank. He previously served as Counsel and Senior Counsel in the Legal Department of the Bank; as Legal Advisor at the International Centre for Settlement of Investment Disputes (ICSID); and as the first Deputy Secretary-General of ICSID. He is Honorary Secretary-General of the International Council for Commercial Arbitration, a member of the Bahrain Chamber for dispute Resolution Rules Review Committee, a member of the Executive Committee of the Dubai International Arbitration Centre, and a Fellow of the Chartered Institute of Arbitrators. Patrick Pearsall is a Partner in the Washington, D.C. office of Jenner & Block. He is the chair of the firm’s Public International Law Practice. Mr. Pearsall has extensive experience representing parties in complex commercial arbitration and investment disputes. He served in the U.S. State Department from 2009-2017 and was the Chief of Investment Arbitration from 2015-2017. Mr. Pearsall has arbitrated claims involving billions of dollars on behalf of the United States, other sovereign states, and private investors. He is a trusted adviser to governments and private entities on investment protection matters and is regularly called upon to provide strategic counsel before a dispute arises. In addition to his representations, he has led the negotiations of several bilateral and multilateral treaties. Benjamin A. Sacks is a Principal in the Washington, D.C. office of The Brattle Group. He has twenty years of experience assisting corporations, investors, U.S. government agencies, and foreign government, to develop and present economic and financial testimony in complex litigations and arbitrations. He has provided expert reports and testimony in numerous matters before courts and arbitral tribunals in both the United States and internationally. Mr. Sacks was the consulting expert for Russia in the Yukos ECT arbitration, where the award was recently set aside by the Dutch Court, and continues to be involved in those matters. Mallory Silberman is a Partner in Arnold & Porter’s Washington, D.C. office. She has served as counsel in more than 30 investment treaty arbitrations, including more than 20 at the ICSID. Among her past and present clients are the governments of Chile, Costa Rica, the Czech Republic, the Dominican Republic, Guatemala, Hungary, the Kyrgyz Republic, Panama, the Philippines, the Slovak Republic, and South Korea. Ms. Silberman also has represented investors, including Daimler Financial Services, EDF, and Mercer International. She has been recognized for this work by Who’s Who Legal “Future Leader” in International Arbitration, 2017 and 2018), Latinvex (top 100 female attorneys working on Latin American matters, 2017), and SuperLawyers (“Rising Star” in International Law, 2015, 2016, 2017). In addition to her work as counsel, Ms. Silberman is an adjunct professor at the Georgetown University Law Center where, since 2012, she has taught a course on substantive issues and oral advocacy in international arbitration. Abby Cohen Smutny is a Partner of White & Case LLP. She is recognized as one of the world’s leading practitioners of international arbitration and has represented clients in arbitrations before all major arbitral forums including ICSID, the ICC, the Vienna International Arbitral Centre, the LCIA, the ICDR, as well as in ad hoc UNCITRAL Rules Abby arbitrations. She handles both commercial contract disputes as well as disputes arising under investment treaties. She is Chair of the Institute of Transnational Arbitration, President of LCIA’s North American User’s Council, a member of the International Advisory Committee of the AAA, and a member of the Advisory Board of the Journal of International Arbitration. Previously she served as Vice-President of the American Society of International Law and a member of its Executive Committee and Executive Council, Vice-Chair of the Arbitration Committee of the IBA and Chair of its Investment Treaty Sub-Committee, and Chair of the International Law Section of the DC Bar. She also was formerly a co-Editor-in-Chief of the World Arbitration and Mediation Review and member of the Editorial Board of the Yearbook on International Investment Law and Policy. David H. Weiss is Counsel in the Houston office of King & Spalding. He practice in the International Arbitration Group. Mr. Weiss concentrates on investor-state arbitration adn international commercial disputes. He has significant experience in investment disputes, energy disputes, and disputes in Latin America. Mr. Weiss has participated in proceedings before the ICSID, ICC and the Permanent Court of Arbitration in The Hague (PCA). Rooms have been booked for the nights of 5 March, and 6 March 2018 at the Washington Plaza Hotel at a rate of $289.00 per room (single) and $319.00 per room (double) per night, plus applicable taxes and fees. A limited number of rooms remain at the preferred conference rate. Refer to JURIS Conferences 12th Annual Investment Treaty Arbitration Conference.